Don't you hate it when you are listening to some nice tunes in the salon then go to the engine room to check out your Detroits and you don't hear any music? Not on this boat. 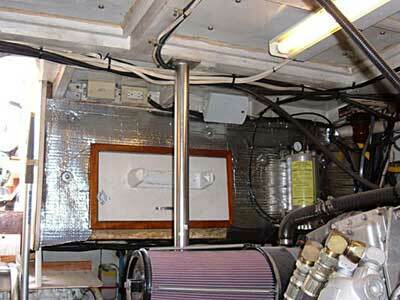 We installed PolyPlaners in the engine room! The speakers are mounted. Next, the wire will be run.